We are now accepting bookings for accommodations! Check availability above or Book Now. 9% Belize Hotel Tax and $40 cleaning fee added to each reservation. Upon arrival at the Philip S. W. Goldson International Airport in Belize City, you can fly a charter plane to the island or take the ferry. 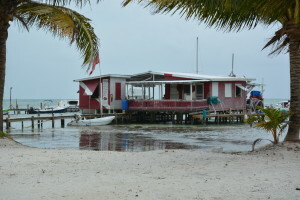 On Caye Caulker island you’ll be greeted by Property Manager Micheal who will assist you to your cottage. Full booking amount will be charged shortly after your reservation is confirmed. Standard cancellation policy applies. Only registered guest allowed on property. For bookings cancelled up to 30 days before the start of the stay, traveler receives a 100% refund minus any booking fees. For bookings cancelled up to 14 days before the start of the stay, traveler receives a 50% refund minus any booking fees. We recommend travel insurance to cover your booking costs in the case of hurricanes, illness, or other emergencies.